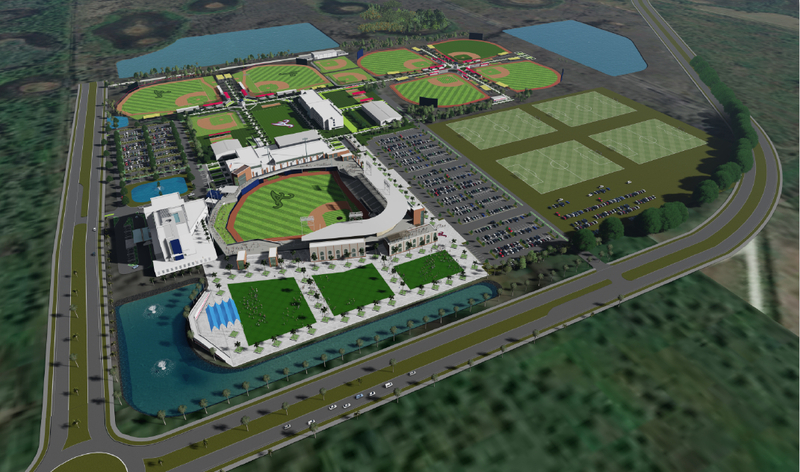 Sarasota County Commission Chair Paul Caragiulo this week declined to approve a letter of intent with the Atlanta Braves as the next step in a process designed to lead to the team’s moving Spring Training operations to a new South County complex in 2019. Although Commissioner Nancy Detert expressed her opposition to a provision in the letter indicating the Braves would have all the authority to handle naming rights — and collect all the resulting revenue — she did join the other three commissioners in approving the documents. Commissioner Mike Moran seconded the motion. “I just think this gives incredible opportunity to South County for career creation related to sports medicine and sports management, sports therapy and life sciences and sports sciences.” He was referring primarily to the team’s plans for a year-round academy for player development and rehabilitation. 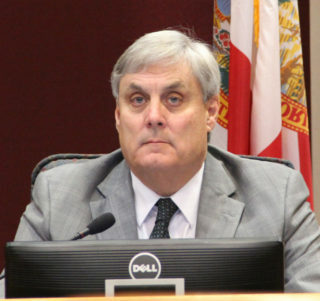 County Administrator Tom Harmer told the board that the North Port City Commission is scheduled to vote on the documents on March 7, with the board of the West Villages Improvement District to address it on March 9. The district and the city are among the partners in the venture. As Jeff Maultsby, director of business and economic development for the county, and Harmer laid them out, the latest terms call for construction of a stadium with 6,500 fixed seats and capacity for up to 1,500 more people through general admission admittance to berm seating and the 360-degree concourse, for standing room only. The estimated cost of the complex is $75.4 million, Maultsby noted. The Braves would have a 30-year operating lease, with two options to extend it for five more years; that could mean a 40-year commitment to the county, Maultsby pointed out. The year-round academy is a facet of a private deal between the Braves and the West Villages that is estimated at $10 million, he added. In addition to Spring Training, Maultsby explained, the team would conduct Extended Spring Training — what he characterized as games involving rookies, which would follow Spring Training; it would host about 70 home games each summer for its Gulf Coast League, rookie-level team; and the Braves have discussed the potential for relocating a Minor League team to the area after the expiration of their agreement for a Minor League team that plays in Kissimmee. Mattamy, the Canadian-based developer of the West Villages, would contribute up to 80 acres for the project, with a value of $8 million, Maultsby explained, and contribute annual payments of $300,000 for 30 years to offset the stadium debt. 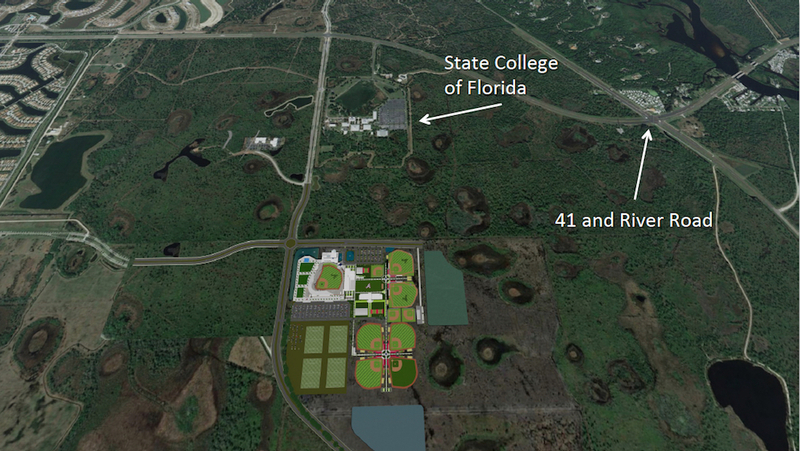 The West Villages Improvement District, he said, would construct an access road and utilities valued at $7 million; take care of the design and construction of the facilities; and apply for $20 million from the state’s Spring Training Retention Fund, which would be paid at the rate of $1 million per year if the grant is secured. “We are hopeful [the state] will approve our application,” Maultsby added. Before the application can be submitted to the state, Harmer explained, the commission will have to approve what he and DeMarsh referred to as the “long-form operating agreement” with the team. That state grant is contingent upon the Braves demonstrating that the facility will be used year-round, Maultsby pointed out, and that the public will have access to it. The county would put up about $21.3 million from its Tourist Development Tax (TDT) revenue, conditioned on the receipt of state funding, as well as $5,625,000 over 30 years for a Capital Expenditures (CapX) fund to cover replacement of major features of the complex, such as lighting, Maultsby continued. The Braves would contribute $5,625,000 to the CapX fund, too, and pay between $2 million and $2.5 million per year to lease the complex, which would become county property after its Certificate of Occupancy was issued upon its completion. The City of North Port is being asked to contribute $300,000 per year for the 30 years of the agreement, he told the board. The Braves also would be responsible for purchasing all the furniture, fixtures and equipment and the main scoreboard for the complex, which is estimated at a total of $7.5 million, Maultsby added. 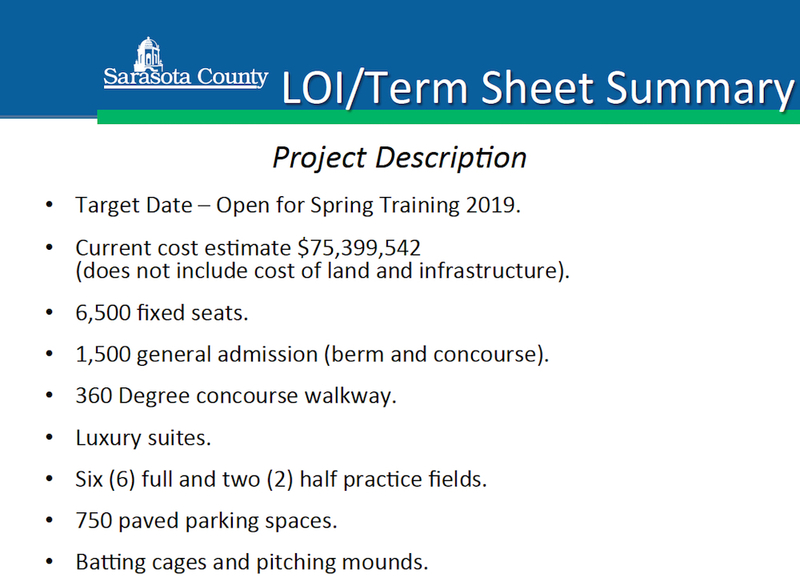 The letter of intent calls for Sarasota County to be able to use the facilities for 20 days per year for events, Maultsby said. The plan is for those days to be shared with Visit Sarasota County — the county’s tourism office — and the City of North Port. Later, Caragiulo said, “I totally get it,” that all the facilities would be the Braves’ to use during Spring Training each year. “I’m concerned about outside of that 90 days, the access that the public has to those assets,” including the multi-use and practice fields. 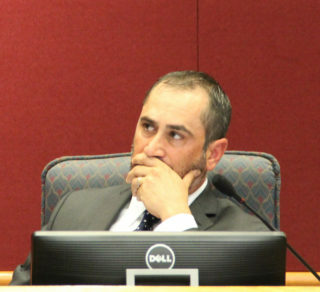 Public access to those facilities does not seem to be an issue the Braves wanted to debate, DeMarsh told Caragiulo. “Nothing in the [letter of intent] calls that out or restricts it in either way,” County Administrator Tom Harmer added. 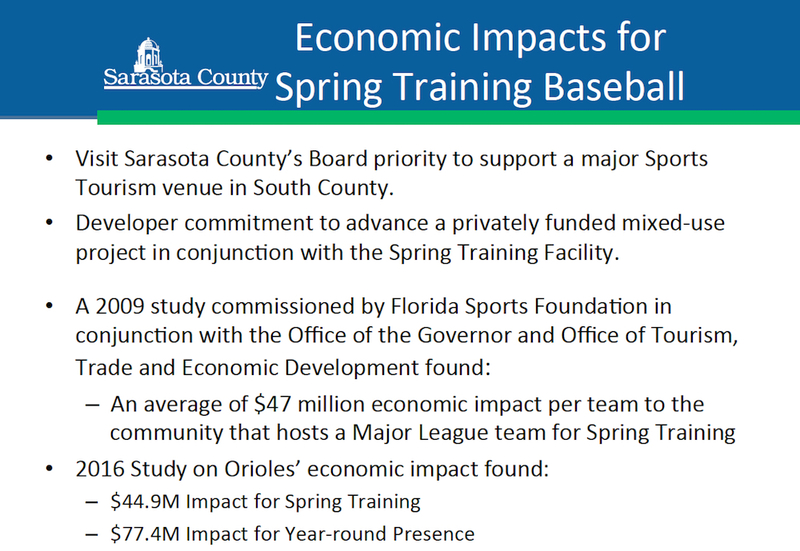 Therefore, “it is still subject to further refinement,” he continued, before the Braves, the county, the City of North Port, Mattamy and the West Villages Management District complete the necessary operating agreements for the deal to be concluded. “Obviously, during Spring Training, you have a lot going on,” Commissioner Hines noted, adding that he was sure representatives of the Braves were listening to the board’s discussion, as well as Martin Black, general manager of the West Villages Improvement District. His point, Hines continued, is that “if [the team is not] using the multi-purpose and practice fields, the county should have access to them” to facilitate their public use. The county’s Parks, Recreation and Natural Resources Department staff “says we need more multi-purpose fields,” Hines added. 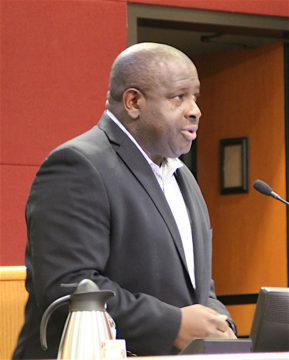 Given that the County Commission has talked of committing Tourist Development Tax (TDT) revenue to make the stadium complex a reality, Hines said, he would like to see language in the final operating agreement make that public access a clear condition. He felt the Braves had put forth this type of document for consideration, he added, because “they’re spending a lot of money on design and other professionals.” The team’s goal is to understand the county’s level of commitment to the project, DeMarsh continued. “Isn’t the ultimate negotiating angle we could not approve the operating agreement [when it comes forward for consideration]?” Moran asked. “What would that do?” Caragiulo asked. “You would not have an arrangement [with the team for Spring Training],” DeMarsh told him. “It’s all or nothing?” Caragiulo asked. “I do not see a problem in moving forward with the concerns recognizing the heartburn that’s already been expressed on the naming rights and use of the facility,” Commissioner Alan Maio told his colleagues. Furthermore, he reminded them, if they called for changes in the letter of intent and term sheet, all the other parties would need to agree to those before the process could move forward.